Never been on a cruise before? Then this is the cruise for you! If you are familiar with the Virgin brand you know they pride themselves on unique, authentic, one of a kind travel experiences. That being said, Virgin has done it again! 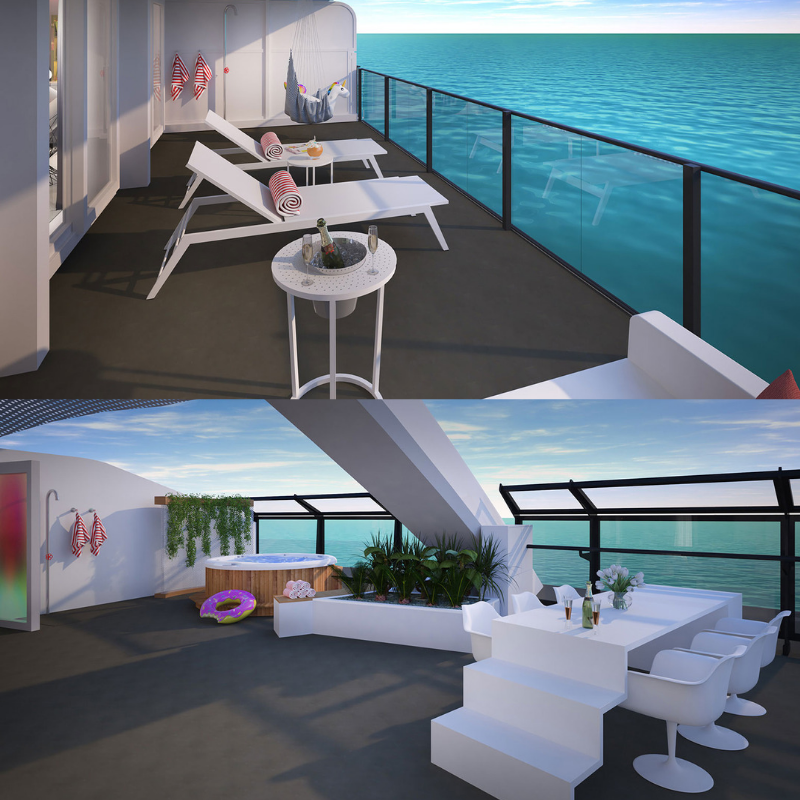 We are excited to announce, and tell you all about, Virgin Voyages! A cruise unlike anything else--positioned between premium and luxury,and owning the term "rebellious luxe". Richard Branson hired a team of experts who had never designed a ships before, but were the best of the best in architect and design for some of top luxurious hotels and restaurants around the world. What they came up with is a one-of-a-kind cruise experience. 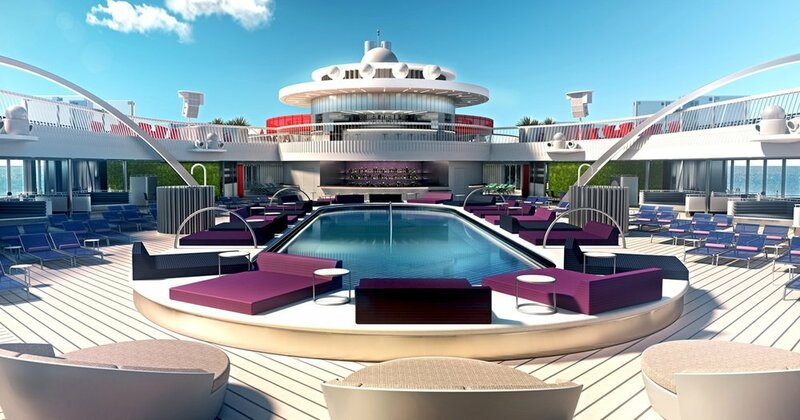 Virgin Voyages prides itself on being unlike any other cruise line in the world. Curious to find out how? Well let us tell you! Who is the Perfect Virgin Voyages Client? This adult only cruise ship experience is for the client who is young at heart and isn't usually the typical cruise client. You love luxury but don't care for all the fuss. Luxury to you is an amazing experience, with high class service, but you don't need all the fancy embellishments. If you rarely, if ever, have gone on a cruise and are ready to experience a cruise that is fun, entertaining, filled with night life, but can also appreciate some wellness and downtime, this is for you! Where does Virgin Voyages Travel? 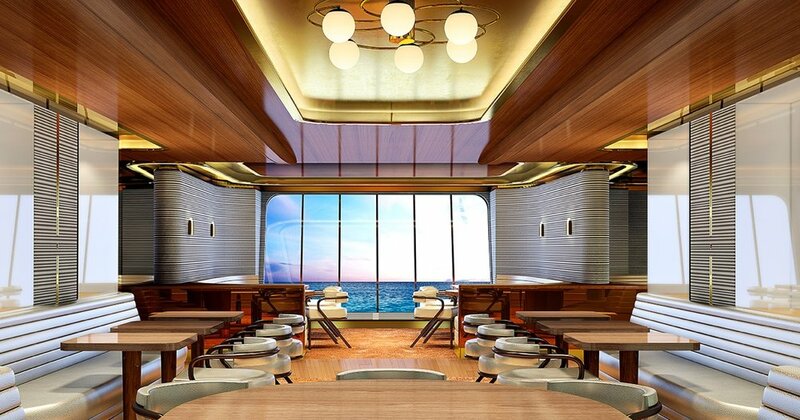 The fist ship departs on April 2020 (accepting bookings now) and will depart to the Caribbean from Miami. All sailings are only 4-5 nights which makes it perfect to pair with a pre or post trip in Miami. 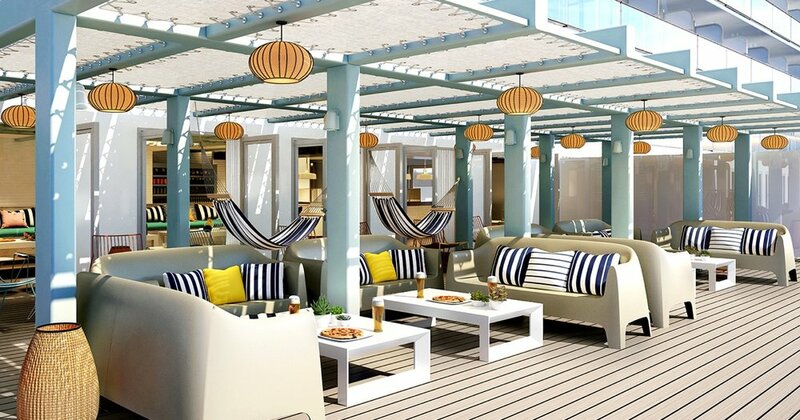 All cruises will stop at the exclusive Beach Club on Bimini (learn more about this below) and will travel to either Costa Maya, Puerto Plata, or Havana. If you decide to go to Havana you will spend the night in Havana and experience the amazing culture and nightlife of Cuba. Check out the Scarlet Lady below! What will be your experience be like on-board and at The Beach Club? Virgin Voyages is all about authentic experiences. They have done away with cruise ship group touring and have created a fun one of kind "festival" atmosphere. This is for the traveler who doesn't care for large group tours and usually grabs a local looking to get all the insider local tips. For entertainment, there will be everything from aerial artists, to pop up music,to interactive theater, to dance parties with DJs. These experiences are inclusive to all ages 18 and up. Fun Fact : Richard Branson will be having his Birthday Bash in 2020 on the boat and we can snag you a spot! The Beach Club is exclusive to Virgin Voyages and it is being said that it rivals the beach clubs in Ibiza. Every Virgin Voyage will stop at The Beach Club on Bimini. The only way to experience this beach club is to be a passenger on-board. The Beach Club has everything from pool parties with DJs, to bonfires at night, and over-water hammocks. However, it doesn't have to be all wild and high-energy through out your entire time on-board. The Virgin Voyages has a plethora of wellness activities for you to partake in which they call the "Vitamin C Experience". This includes everything from an amazing spa, sunrise/sunset yoga on deck, four training facilities with boxing, group fitness classes, and to a gym and tonic bar that has freshly pressed juices that you are welcome to add liquor to. How about the food on board? A Korean BBQ restaurant with the Korean style grills in the center of the tables. Virgin Voyages is the only ship at sea with these on board. Currently the prices are the lowest you will ever see them. So we recommend getting in now! There are everything from solo cabins to cabins that sleep 4 people. To give you an idea on price point. **Prices are per cabin and are subject to change. Meaning all beverages minus alcoholic beverages. However, alcoholic beverages will be street prices. You will NOT see a price surcharge on these. You can still score a spot on Richard Branson Birthday Bash sail! This will be a once in a lifetime experience, it will never happen again! Richard Branson will be on the ship himself and they promise to have special "moments' that will be this time only! All suites are sold out however there are still some Sea Terrace rooms available. Price point ranges from $3300 - $4400. Reach out to us today to secure your spot! You will receive special Virtuoso treatment and amenities that you can only receive when booking with an agent. We will do all the work for you. There is no surcharge, no hidden cost, or price bump for booking with us. One less thing on your to do list!